Spring is emerging again, but if you’re not yet keen on exploring the outdoors in your spare time, then you might be in need of more indoor indulgences. How about a new Mac game? March brought us a nice number of compelling releases, and we’ve highlighted 10 of the most enticing debuts in the slides ahead. Civilization VI’s new Rise and Fall expansion might be just the strategic obsession some players need for the foreseeable future, but if you’re not into Civ, then maybe Chuchel, Where the Water Tastes Like Wine, or Out of the Park Baseball 19 will satisfy your demands. That’s just a taste of what you’ll find within, so keep reading for more on March’s biggest Mac debuts, and be sure to revisit February’s list if you’re seeking further options. Yes, it’s an expansion pack—but given the quality and prominence of the game that it is expanding upon, it’s still one of March’s highest-profile releases. 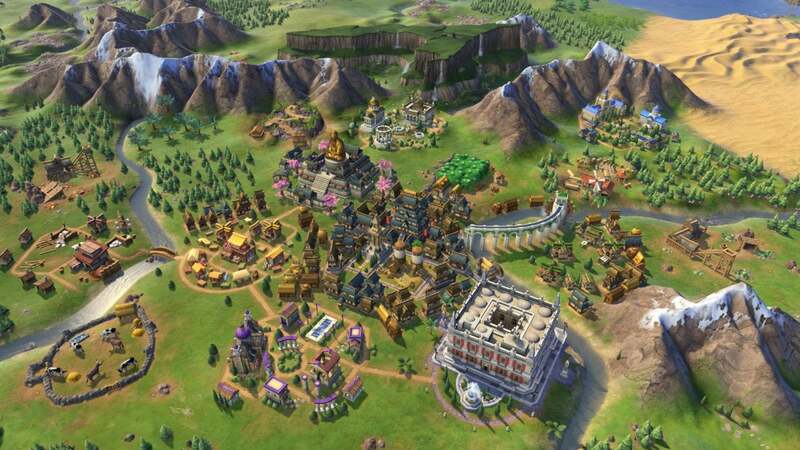 Civilization VI: Rise and Fall builds upon the excellent turn-based strategy sequel, adding sizeable new mechanics and fresh reasons to fire it up even if you’ve poured heaps of hours into the main game. Rise and Fall’s biggest contributions include "great ages" for your civilization, as your decisions can lead your people into a Golden Age or Dark Age and create new challenges and opportunities as a result. There’s also a new Governor system, as well as a Loyalty system that can inspire or enrage your people along the way. 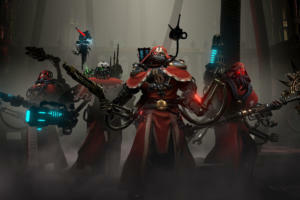 Critical reviews were strongly positive, while Steam users are a bit more mixed on the expansion’s overall impact. 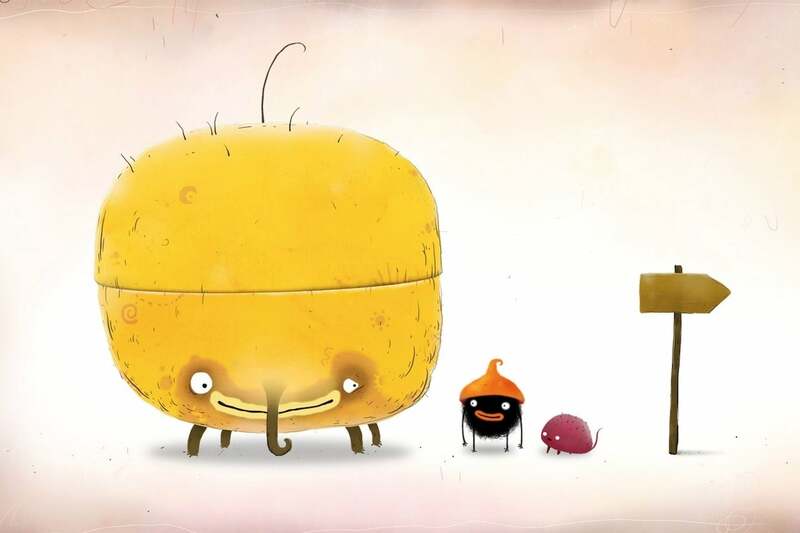 Amanita Design makes utterly charming point-and-click adventure games, from Machinarium to Botanicula and the Samorost series, and Chuchel is just the latest example of their one-of-a-kind aesthetic. 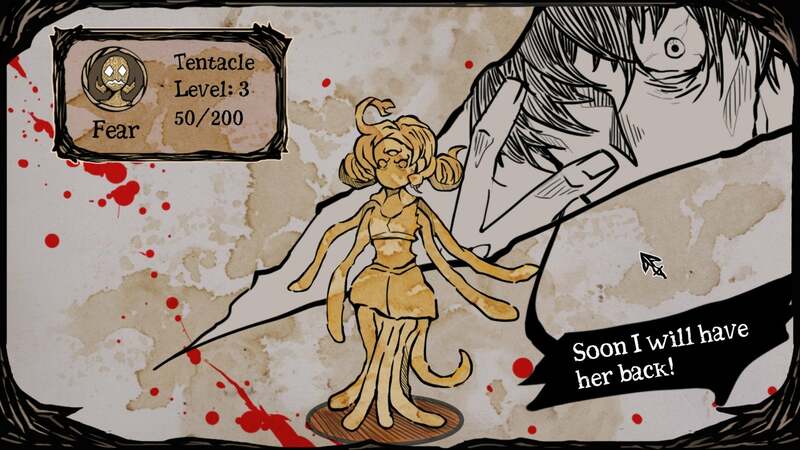 Like the others, it’s cartoonish and hand-drawn and features some odd little creatures, but this one looks like the outright silliest of the bunch. 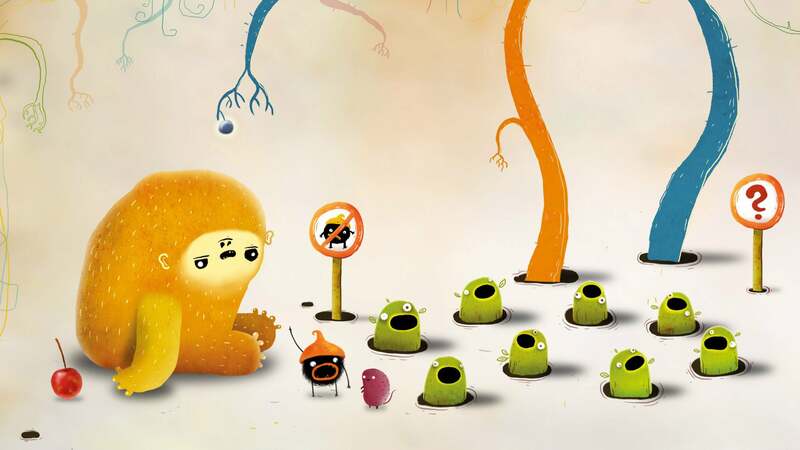 The “hairy hero” Chuchel and rival Kekel are battling it out for a very special cherry, and you’ll fight for the delicious treat across numerous visual puzzles, which seem to vary widely in tone and approach. Some are even inspired by classic video games! As an added bonus, the Steam description promises you’ll “build an inexplicable passion for cherries,” which seems like a plus. You’ve probably never seen a game quite like Where the Water Tastes Like Wine, a Great Depression-era experience about wandering the country and soaking in the tales of your fellow travelers. 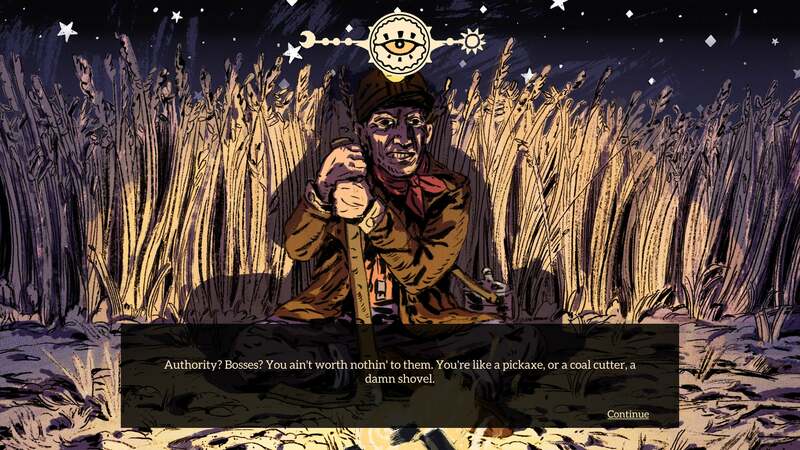 You’ll explore a world map of the United States as an enlarged skeleton with a bindle, and the encounters you make help shape the stories and interactions that follow. It’s a narrative-centric game with a twist: You’ll accumulate stories from the people you meet, and then you can retell and share those stories to influence other interactions. And those stories change and evolve over time, and help you move ahead in your journey. As our sister site PCWorld wrote in its review, the “blend of myth and truth is what makes WTWTLW special.” The gorgeous, hand-drawn aesthetic and diverse soundtrack don’t hurt, either. If you’re the kind of baseball die-hard who loves noodling over stat sheets and being an armchair management, then Out of the Park Baseball 19 is the game for you. 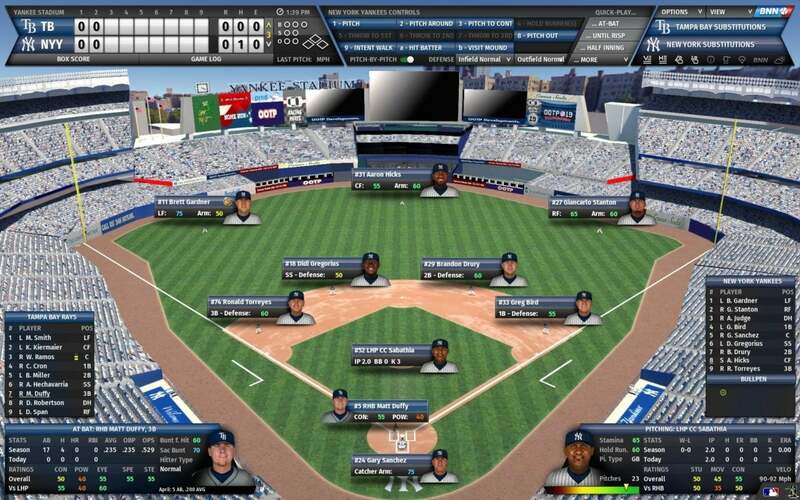 OOTP has been around for nearly two decades now, with each annual edition sticking to the stats-based, menu-driven approach while further enhancing the critically acclaimed simulation experience. This year’s version revamps the 3D experience of watching games unfold, although as ever, you won’t directly control players. It also features a refreshed interface, a new scouting system, and the ability to pit any two historical teams against each other. And it’s officially licensed by Major League Baseball, too, so all of the big-league teams and stadiums are here. Looking for a rich real-time strategy game to sink your teeth (and pour your hours) into? 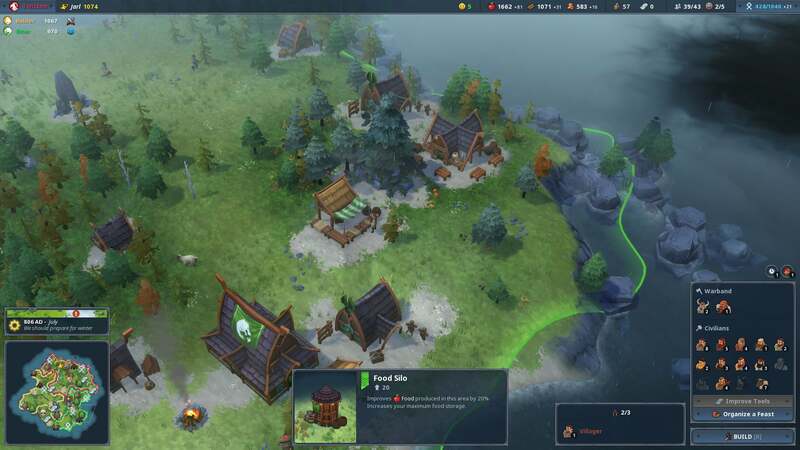 Well, Northgard looks to be one of the better ones in recent memory on Mac. 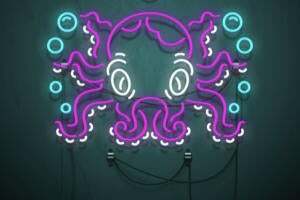 This indie game just emerged from a year of Early Access on Steam with a full version yielding strong comparisons to Microsoft’s Age of Empires, along with positive reviews. Northgard finds your Viking crew landing on the mysterious, titular land, where you’ll establish a new settlement, task your allies to various roles to ensure growth and stability, and manage resources as challenges and threats emerge. 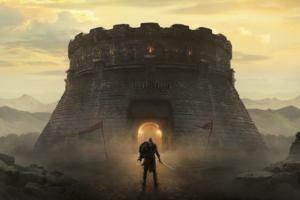 A single-player campaign weaves a tale of intrigue and revenge as you play as a son of a murdered king, or you can play online against rival clans. 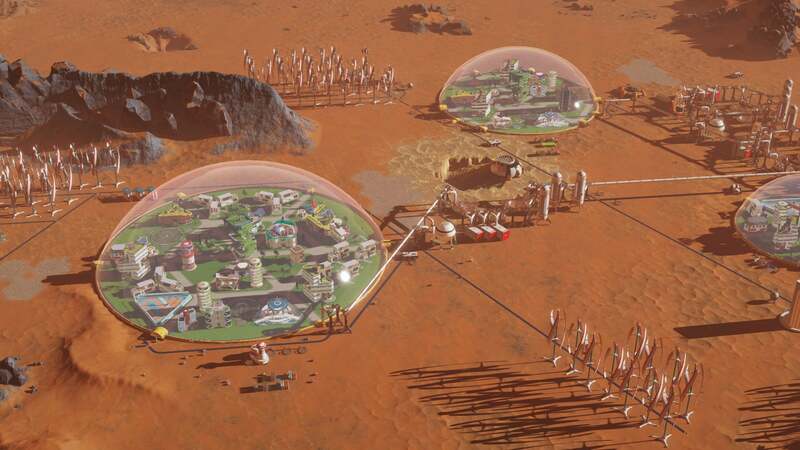 Haemimont Games is probably best known for its Tropico simulation games, but Surviving Mars swaps the sunny island nation out for the red planet: It’s a city simulation on a place that isn’t exactly built for human life. But that’s the challenge here—you’re working on the first Mars colony, and you’ll have to plan, prepare, and execute things perfectly to bring it to life. It’s hard, as you might imagine. As PCWorld writes, some of the challenge comes with the territory, yet some of it seems arbitrary, partly owing to a lack of polish in the current build. But the struggle is worth suffering through if you dig the premise, and Surviving Mars can feel plenty rewarding if you endure the occasional hurdles. Mindless free-to-play games usually stick to the iPhone or iPad, but Shooty Skies—one of our favorite free iOS games from 2015—can now be played on your Mac as well. 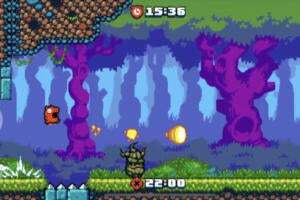 And yes, the arcade-style aerial shooter is still free to play and enjoy even on a larger screen. As on mobile, Shooty Skies is a super-streamlined take on vertical “bullet hell” space shooters, as loads of cartoonish threats appear in view and fill the screen with bullets or hazards. You’ll dodge and weave to evade destruction, blast your foes, and pick up power-ups to help you survive longer and longer. 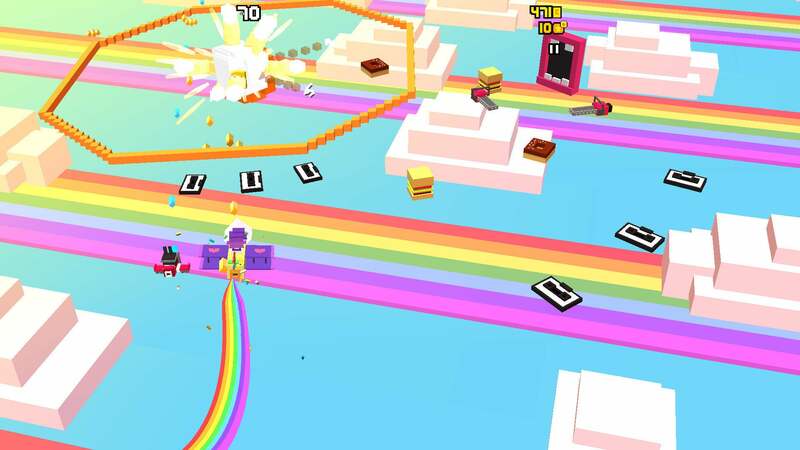 Shooty Skies hails from the crew behind the wonderful Crossy Road, and it delivers the same kind of addictive, pick-up-and-play sensation; likewise, it’s a very friendly freemium game. LucasArts’ point-and-click classic The Curse of Monkey Island is hardly new—in fact, it’s just over two decades old at this point! But this month marks the first time you can buy the sequel through a digital download, making it widely available for a much larger group of adventure fans. And as Steam reviewers suggest, this old favorite hasn’t lost its appeal after all these years. 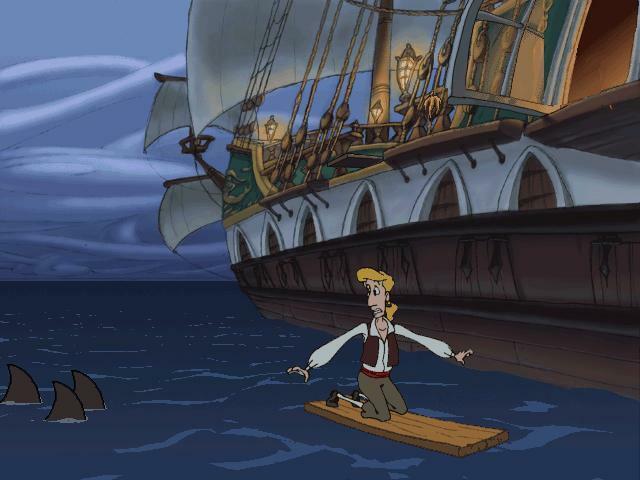 The Curse of Monkey Island is the third entry in the comedic series, which stars pirate Guybrush Threepwood in all of his zany calamities. Curse keeps the puzzle-solving charm of the original classics while delivering more film-like cartoon style and voice acting. 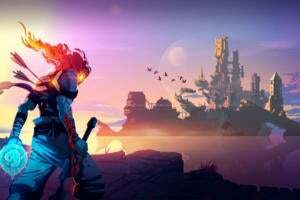 You can also grab a bundle with Curse and remastered editions of the first two games for $20.22 right now on both Steam and GOG.com. Sam Barlow’s Her Story is one of the most acclaimed and inventive indie games of the last few years, as it tasks you with trying to solve a murder mystery by watching filmed police interview footage. Now, Barlow’s #WarGames attempts to take that interactive film-like premise into much different territory with a tale of young hackers trying to unravel a conspiracy. At first, the teens are in it for laughs—but when the parent of one member is accused of deserting the U.S. military, they’ll use their hacking skills to prove otherwise. 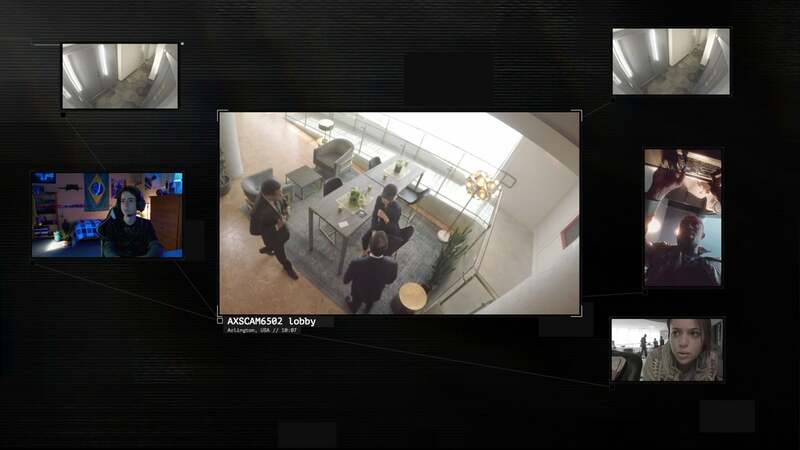 The result is a roughly two-hour experience in which you’ll watch several video streams at once and make occasional decisions. Reviews for #WarGames have been much more mixed than with Her Story, but many of them suggest there’s something compelling about it all the same. Well, this is grim: My Lovely Daughter might seem like an odd title for a game about alchemy, but then you find out that it’s actually a game about using alchemy to bring your deceased child back to life. You’ll do that by creating homunculi through your experiments and then raising them to instill a sense of humanity in the odd creatures. And then you’ll harvest their souls. Yes, you’ll kill the poor things, even though they call you “daddy” and write letters to you about their daily activities. Is it worth suffering through those horrifying acts to save your real daughter, assuming that’s even possible? You might find out in this game, assuming you have the stomach for it.